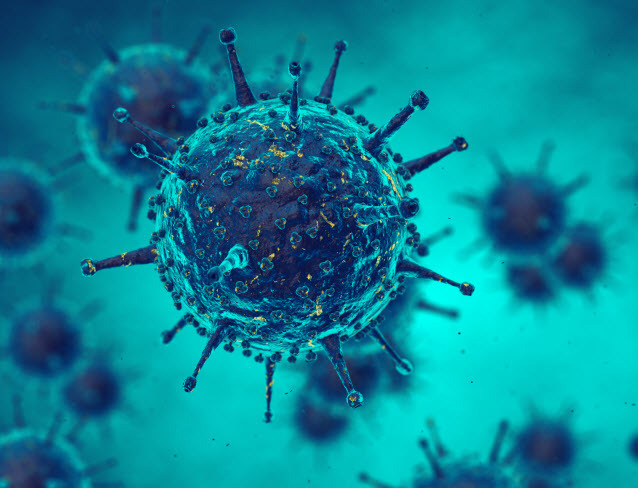 Two candidate vaccines targeting dendritic cells have been developed at the Vaccine Research Institute (VRI), and their manufacture under cGMP guidelines will permit the set-up of future clinical trials in humans. Paris, the 24th of November 2016: VRI, ANRS and Novasep announce the signature of an agreement for the production of 2 candidate vaccines against HIV, developed by teams at VRI. Process development and production of a prophylactic and a therapeutic vaccine will be performed under current good manufacturing practice (cGMP) conditions by GTP Technology and Novasep respectively, the 2 contract development and manufacturing companies (CDMOs) selected for these important steps in the development of these vaccines. Worldwide, over 35 million people are currently infected with HIV, and 2.3 million new cases are reported annually. Less than half of the people living with HIV have access to antiretroviral treatments. In France, there are 150,000 people infected—nearly 30,000 of whom are unaware of their status, and continue to spread the disease, resulting in 6,100 new cases each year. The medical/scientific community agrees that only a combination of strategies like the use of condoms and PrEP (pre-exposure prophylaxis with antiretrovirals) with a prophylactic vaccine will make it possible to control the spread of the HIV epidemic. Antiretroviral treatments can control HIV virus replication, improving the quality of life and life expectancy of infected subjects, but they cannot cure them of the disease. Furthermore, in the vast majority of treated patients, stopping antiretroviral treatment is accompanied by a rapid rebound in the viral load, which has a harmful side-effect on the immune system. The development of a therapeutic vaccine has two objectives: (i) to obtain disease remission without treatment, and (ii) to eradicate the virus. Results of several years of research and collaboration with international teams including those from the Baylor Institute for Immunology Research (BIIR) in Dallas, TX, these 2 candidate vaccines are meant to target and activate dendritic cells through the use of monoclonal antibodies coupled with HIV antigens. Depending on the type of HIV antigen coupled with the monoclonal antibodies, the vaccine will induce a potent neutralizing and non-neutralizing antibody response as well as a T-cell response, that will, thus, provide a preventative or therapeutic impact. The objective of VRI is now to pursue the development of these 2 candidate vaccines for future clinical trials in humans. VRI and ANRS have selected the CDMOs Novasep and GTP Technology that, through their alliance, offer considerable expertise and industrial know-how in producing and releasing cGMP batches that will be used in future phase I/II clinical trials. “These 2 vaccines will be administered alone or in combination with « conventional » vaccines that are currently being developed on an international level together with VRI. They allow us to bring forth new concepts based on the most up-to-date knowledge of induction and modulation of the immune response.” said Prof. Yves Lévy, VRI Executive Director. “The candidate vaccines developed in the framework of the VRI and ANRS vaccine program have allowed us to take a major step forward. The manufacture of sterile injectable vaccine batches will enable us to begin clinical trials on human subjects around 2019.” said Prof. Jean-François Delfraissy, ANRS Director. The Vaccine Research Institute (VRI), Laboratory of excellence, was established by the French National Agency for Research on AIDS and viral hepatitis (ANRS - France Recherche Nord&sud Sida-HIV Hépatites) and the University of Paris-Est Créteil (UPEC) to conduct research to accelerate the development of effective vaccines against HIV/AIDS (Human Immunodeficiency Virus / Acquired ImmunoDeficiency Syndrome), HCV (Hepatitis C Virus) and emerging infectious diseases. VRI's structure strengthens the links between basic and translational research, patient associations and the socio-economic world. VRI stems from the existing ANRS vaccine research program and includesresearch teams with multi-disciplinary expertise, a network of national and international eminent scientists, a network of clinical centers, core facilities, and industry and charitable partners. It is based at the Henri Mondor hospital, Créteil, France. Novasep provides economical solutions for the sustainable production of molecules for life sciences and fine chemistry. Novasep offers process development services, turnkey purification equipment and systems, contract manufacturing services and complex active molecules for the pharmaceutical, biopharmaceutical and fine chemical industries as well as for food and functional ingredient markets, raw materials industries for fermentation and chemical synthesis. GTP Technology is a contract research and development organization that provides customized recombinant proteins and process development services to support biopharmaceutical companies. With its strong research culture and know-how in bioprocessing, the company can take on projects from early development to the transfer to cGMP manufacturing for clinical trials.